THE Queen, Prince Charles and Prince William have publicly congratulated Meghan Markle and Prince Harry after it was announced the couple are expecting their first child. 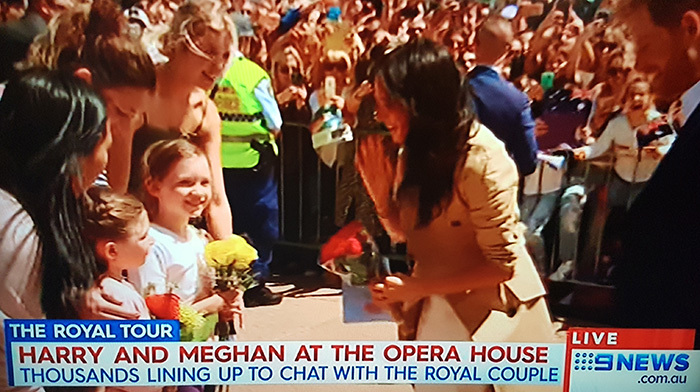 Pregnant Meghan and Harri who are currently touring Australia — reportedly told the Queen and senior members of the royal family during Princess Eugenie’s wedding at Windsor Castle last Friday. 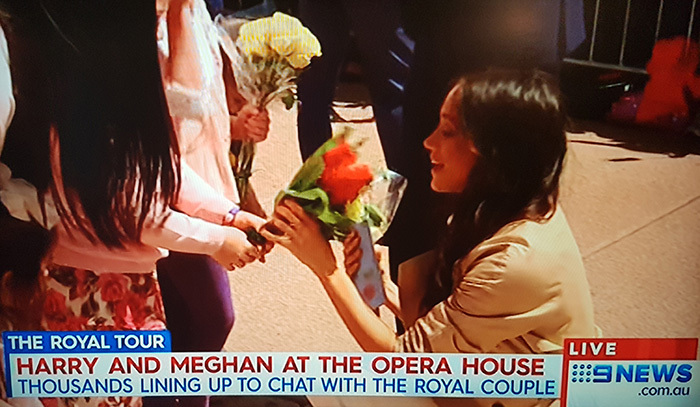 The Duke and Duchess of Sussex held the first engagement of their first Australian tour at Admiralty House in Sydney on Tuesday morning. 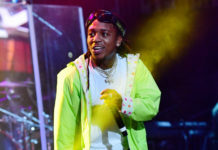 The event was to focus on the upcoming Invictus Games, an event started by Prince Harry to help war veterans. 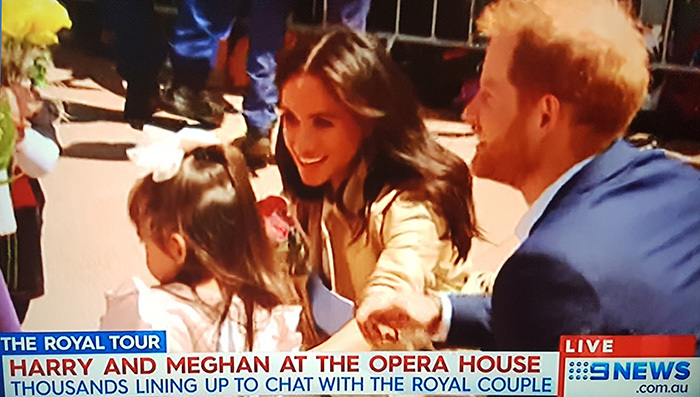 After hours of waiting, royal fans were finally able to meet the Duke and Duchess of Sussex at the Sydney Opera House. And they weren’t left disappointed. Prince Harry and Meghan descended the stairs of the Opera House holding hands as thousands of fans erupted in delight. 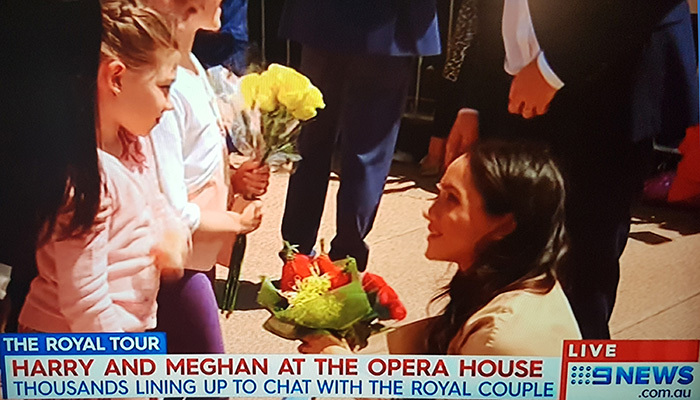 It was more than 80 concrete steps in high heels for Meghan and 26 and a half minutes for the crowd – and they loved every moment. 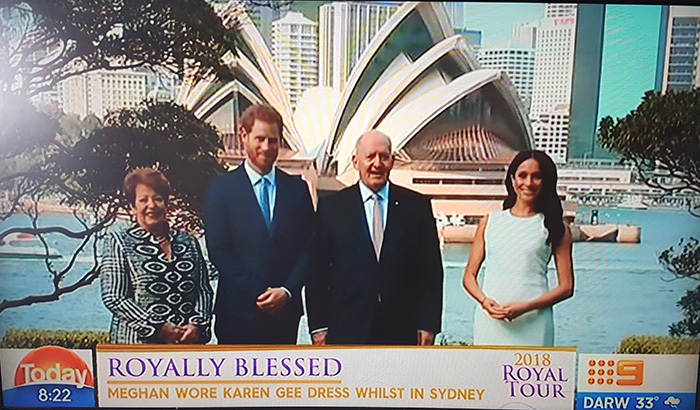 Wearing a trench coat over her Karen Gee dress, as well as jewellery that had been her mother-in-law’s, the Duchess of Sussex was met with a huge cheer as she made her way down the Western Boardwalk. 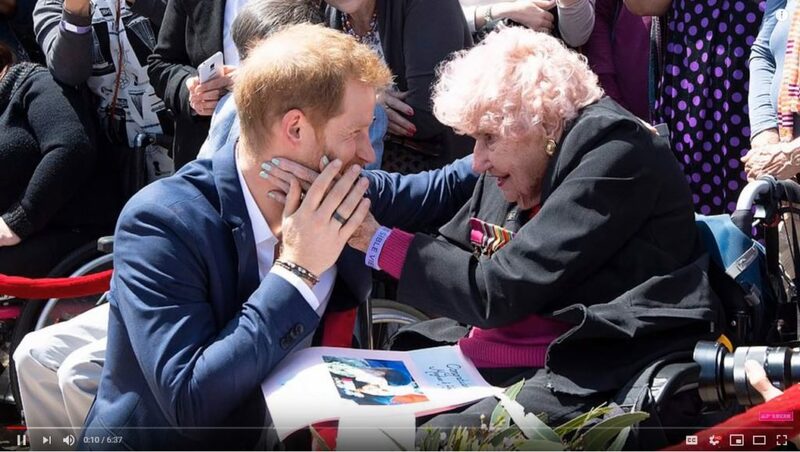 Many fans who started lining up outside the Opera House at 7am were rewarded with a royal greeting, including 98-year-old war widow Daphne Dunne, who has met Harry twice before and asked him to introduce her to his new wife.